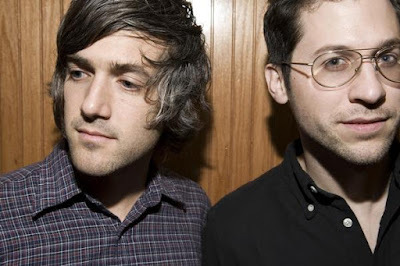 We Are Scientists are back with a new record, Brain Thrust Mastery (due March 17th), and a new single "After Hours" (March 3rd). This new song doesn't have the ragged electric guitar sound of previous album With Love And Squalor, it's a smoother sound, they've rounded off the edges on this song, at least. But that edgier sound was what I enjoyed about WAS and I'm afraid this song will have to win me over slowly, this one doesn't hit me like an overdriven IV filled with liquid sugar and espresso beans. And didn't these guys make a bigger splash in the UK than North America? That may explain the much more obvious British influence heard in this song... I'm still hoping that the rest of the record is closer to earlier efforts by the band. But then again... it's a couple of hours later and this little s.o.b. of a song is starting to grow on me like Kudzu... and isn't that what all good singles do? How annoyingly delightful! You can also stream this new song on their myspace page.